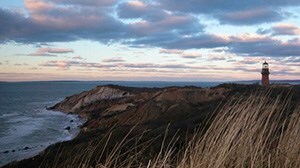 We’ve written a few blog posts in the past about how people love getting back to the Cape and Islands year after year. Just like this one family that have gone back to the same house in Orleans for almost two decades. While we all have our favorite spots to go and relax, sometimes it’s just as fun to take a drive and go exploring. We partnered with Cape Cod Jeep Rental to take you to the end of the Cape and back for a full loop of things to see and do. First off, everyone knows that Route 6 will take you from end to end, but if you slide on over to 6A you can take your time and pass through the main street of several towns and villages. Starting at the Sagamore Bridge, you can head east on 6A and stop at the Sandwich boardwalk. Park on the far side and walk across all 1350 wooden feet across Mill Creek and the marsh, leading to the Town Beach. Once you wrap up at the boardwalk, you can continue on 6A to Barnstable. They have a really neat old market that I actually stop in every single time I pass by for no other reason than that it just feels like the Cape when I’m in there. Continue on your journey by hooking up with Route 6 and head “up the arm” of the Cape. You can stop in Wellfleet to take in a movie at the drive in theater or visit some of the phenomenal art galleries. Be sure to take your picture by Uncle Tom’s Bridge! This part of the drive is also incredibly interesting because as you go through Truro, there are parts that feel like there is beach on both sides of you. Because there is. You’ll eventually find yourself in Provincetown, which could be the most eccentric town on the Cape. Get out of the car and take a walk down Commercial Street and simply have a blast. 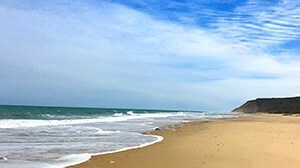 Start the return trip of your journey by heading back along the ocean side of the Cape, starting with the National Seashore. This is where you’ll see some of the world’s most gorgeous and protected beaches. 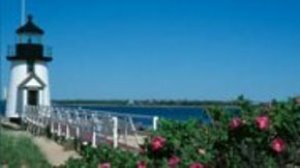 Stay along the waterfront on Route 28 and you’ll pass through more historically beautiful areas. Stop in Hyannis to see the JFK Museum, or continue on to Mashpee for shopping at the Mashpee Commons. 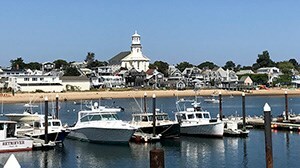 Stop for a bite to eat in Downtown Falmouth. The drive on to Woods Hole is worth it – great little coffee shops, and be sure to photograph Nobska Lighthouse. Take a second to see the ferries take off for Martha’s Vineyard just before you head on back to the bridge!